This months our social media focus is Inspiration. We’re going along the lines of April, new and inspiring things! With this in mind, we thought we’d share what inspiration we use to plan some of our dance classes and Georgie has written a blog about it. It’s just a little introduction to the many things the TRS Teachers get up to, but it might be helpful when planning a dance lesson. Enjoy! There are so many things you can use for your inspiration for dance classes, from the style of dance to the class topic of the term. Here at TRS we follow guidelines to help us both in our Educating Dance classes as well as our usual dance clubs. 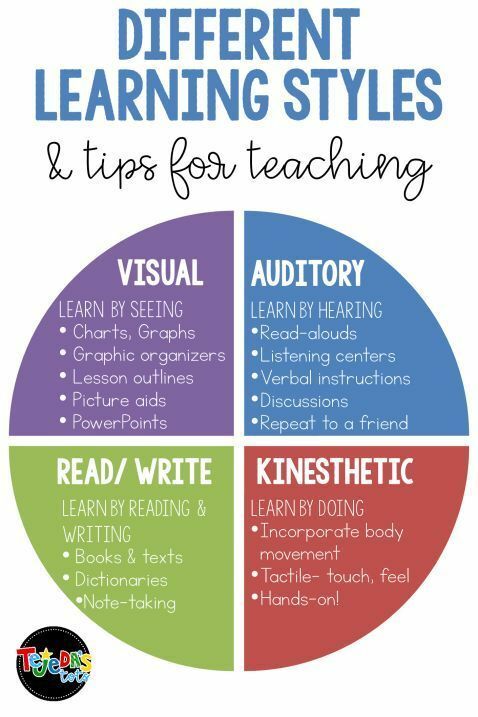 You can start with the learning styles to develop your inspiration for your class. These include auditory, visual, kinesthetic (practical/learn by doing) and read write. This will help the dance teacher appeal to all pupils and their various learning styles. We also explore social inspiration and tactile inspiration alongside this. Visual is a popular one to use in our classes by our TRS facilitators. Using images throughout the lessons allows those who are visual learners to really grasp the idea. 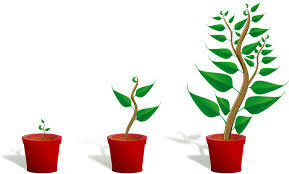 You can use images such as the stages of growth for a plant, the water cycle as well as lots more. Also using videos from online can be very useful and participants respond well to them. For auditory inspiration you can use music, perhaps a particular song that you like or think that the participants will respond well too. Sounds like rain forest, the sea etc. would also work or you can even use some of the participants to create the sounds for the dance, using instruments, instruments they’ve made themselves or body parts like in Gumboot Dancing (photo on the right). Tactile can be very exciting to use as inspiration, especially for younger ones. You can use different materials and express how they feel through movement, furry, shiny, slimy, rugged, squishy and so on. You can also bring in objects for the participants to explore and study like historical artefacts. 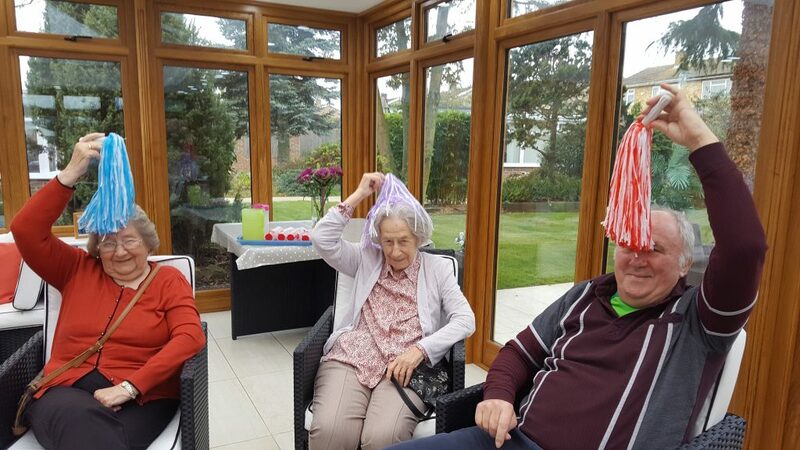 Props are also used in many TRS classes and can come in all shapes and sizes, whether you buy pompoms or make your own jingle sticks, these are a great to get everyone involved. A TRS favourite is our tactile scarf. It is made from lots of different materials all tied together to make one giant scarf. There are also a lot of practical ways to find inspiration for your dance class. These are experienced things so they are often things that are experienced elsewhere and brought into class in other ways such as current events. Fireworks (the bonfire flames in the photo on the left) is a fun theme. You may want to use certain holidays like Easter or even what’s happening around us now. For example, when The Greatest Showman came out everyone was so inspired and excited to use the ideas and music. Styles of dance can be used as inspiration, you maybe looking at a world theme and you could explore different types of dance from around the world such as Latin, line dancing or Bollywood. Practical inspiration can be as closed or open as you want it to be when using it in your lessons or for your inspiration and it can be shown through other sorts of inspiration that is auditory, visual or tactile. Book Week is a great opportunity for us to use read/write inspiration. Books are always a useful tool. Other ways to find inspiration can include things like focusing on a particular area you want to develop with your participants, for example motor skills, balance or extension. So as you can see there are so many ways to find inspiration for your dance class. You can also use a combination of these ideas, especially the learning styles as that way you can ensure that all your participants are gaining from the lesson. TRS teachers will always use a combination in their lessons. Start off with a focus and then you can extend and explore further. We also love hearing your ideas at TRS, they inspire and challenge us as teachers and that always makes our classes interesting and enjoyable. In celebration of Science Week (this week) and Book Week (last week) I’m going to share the ideas behind one of my schemes of work, Moon Zoom! Something helpful and useful for school teachers and dance teachers looking to plan a cross-curricular dance class. When planning a cross-curricular dance class, we (the Educating Dance teachers) use a process that’s very similar to that of a school teacher. We do start with a topic brainstorm and some research though. The schools give us such a varied selection of sometimes challenging subjects that we need to make sure we’re on the right track! My learning aims and objectives were broken down and differentiated before I continued my plan. It was important to me that I taught the class some facts about travelling to the moon, but I didn’t want to destroy the magic of the story either! 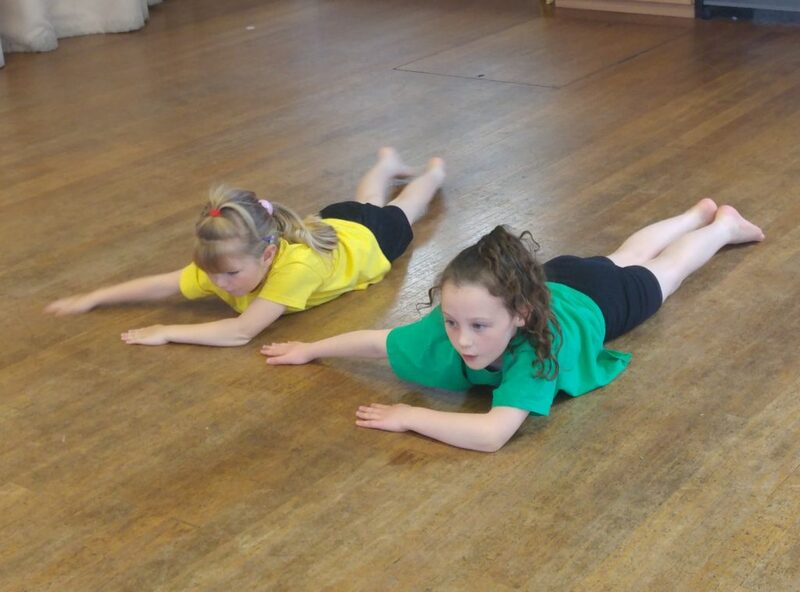 I also wanted pupils to learn about choreography, experiment with how their body moves (the different ways to jump!) and to use their imagination. Other outcomes included a class dance that would be performed to friends and family at the end of term. Once I had the learning aims and objectives I could get on with piecing together the ideas I’d had in my earlier brain storm. I talk about these in the original blog post so I won’t go into detail, but this is the fun bit for us dance artists and we do often get carried away. To help me I had the TRS cross-curricular flow chart (this helps us structure the plan as a whole), I knew from training years ago how to structure a dance class and I also included starters and plenaries, important elements for lessons in schools. The first few lessons were mostly for exploring the theme, but we used almost all of the dance moves learnt and created in these lessons for the final dance as well. One of the things we did was a journey dance. I love improvisation journeys and my blog, Improvisation, says more about them. This improvisation was for our warm up from the second lesson and it was about how Bob (the astronaut) went from his house to the moon. Along the way the dancers had to show how Bob could cycle, click the engine on and move as though it were rumbling beneath them and look out at the stars in all the space. As the lessons progressed we included short rehearsal times so that the class could remember what they had done before. As they were year 1 I included a lot of improvisation so rehearsal was mostly to remember sequences rather than movements. I also introduced Year 1 to choreography. Although I do choreography from Year R, this group hadn’t done any before. We did alien movements, something deliberately very abstract, and I gave them lots of pictures from the book for inspiration. They only had to choreograph one movement each and I structured the main task (choreograph a motif) into lots of short tasks to make it easier for them. I was very pleased with the result and Year 1 were very proud of themselves. The final few sessions were for structuring the dance. This involved putting together all the elements learnt and rehearsed in previous weeks. 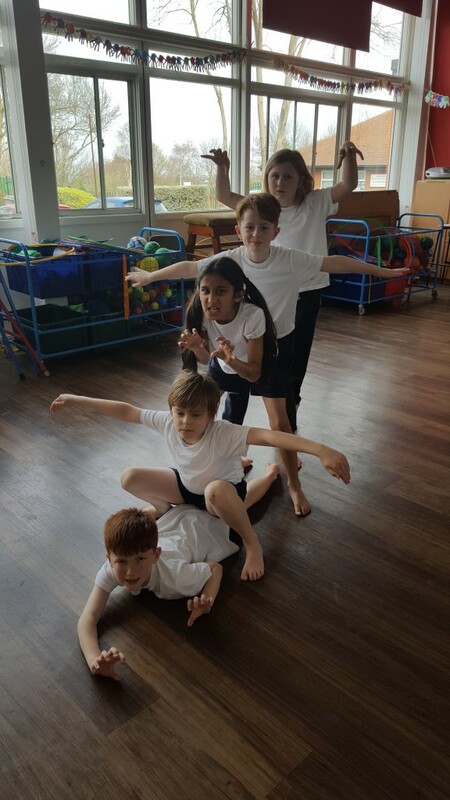 Each group performed separately, but also as a whole class within the dance. There was even a gigantic rocket shape and a bow to finish! Our newsletter has been going out in all of our classes recently and is also found in the many Christmas cards that Becca and I sent on Monday. We hope everyone who has had the chance has enjoyed reading it, but I’m sure there are others out there who don’t have one so… we have included a copy below for everyone can have a read. Enjoy! Merry Christmas and A Happy New Year! The TRS Teachers are always excited by new ideas and trying new things. We recently had our sharing days and the TRS Teachers met for the All Hands Meeting on Monday too so this has been even more apparent. Improvisation is the term used for spontaneously moving. The movement isn’t choreographed, it is usually very creative and it almost always leads to an unexpected and exciting outcome. Improvisation can be used just for fun. 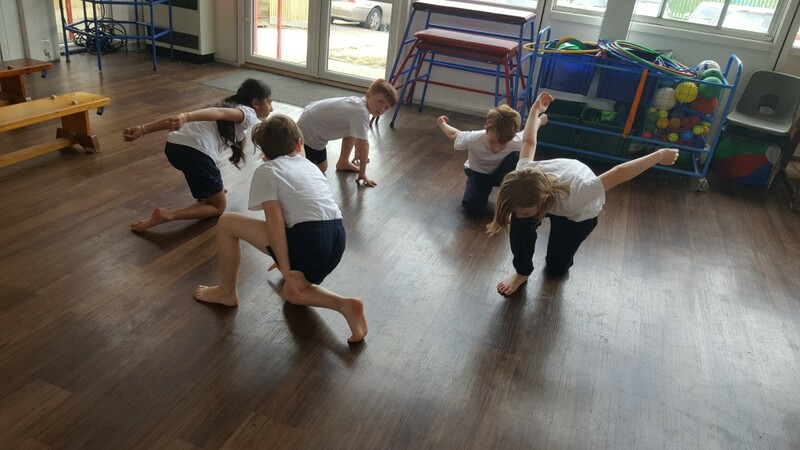 In our Educating Dance and creative dance classes we often use improvisation to help find movements around a theme that can be used later in choreography. We can also use improvisation or brain health. It has been proven in both recent and quite old studies that dance is great for brain health. I think the first time I realised just how good dance is for the brain was when I read ‘Use it or Lose it: Dance Makes you Smarter’ by Richard Powers. A fascinating article about a major study that found dance questioned whether physical and/or cognitive recreational activities were affective in protecting against dementia. The only physical activity that proved affective was dance. The article (read it here: http://socialdance.stanford.edu/syllabi/smarter.htm) goes into greater depth and there is a lot to be said on this subject, but for the purpose of this blog post I will focus on one element… I believe that one of the reasons for the protection dance offers against dementia is the fact that improvisation often plays a key role in dance. Thinking on your feet whilst also taking part in physical activity and, therefore, with the respiratory system working harder seems to have great benefits. Quick thinking, random thinking and making decisions that are not carefully planned whilst the body is also physically moving seems to be excellent for the brain and neural pathways. In our training for school staff we teach how to give ownership of the movement to the participants. 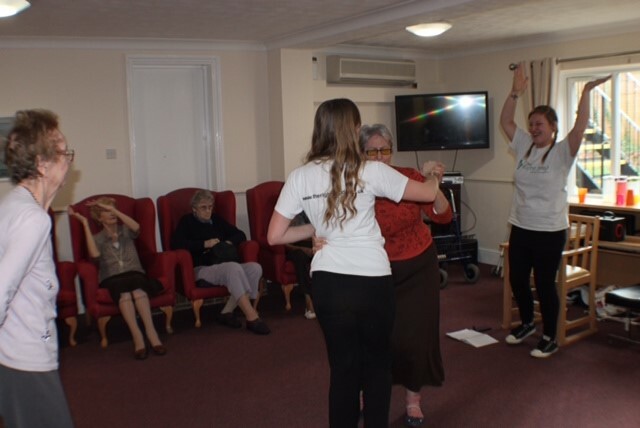 By ensuring they know there is no wrong outcome because they are being creative, the dancers can choreograph themselves and can achieve extraordinary outcomes when supported in the right way. Improvisation to explore a theme and experiment with movement is a great way to do this. Teachers can support students in free improvisation that is often very personal and always open ended or in closed improvisation that has a much more specific aim. If the journey takes place in one setting you can go into more detail. This is great for a topic like Habitats. For a jungle theme the teacher can describe the habitat in much more detail. There are tall trees with branches that spread wide. Vines from the branches for monkeys to swing on. The playful monkeys are jumping, climbing, swinging and picking flies from each other. The flies move from giant plant to plant. There are some fallen trees and you have to go over some and under others. The teacher has the option to be as specific or vague as they like and can alter their words each time they do the journey depending on how the group are responding or if they have done it before. Improvisation stories are a great way to include the class topic in a cross-curricular dance class and we use it a lot in Educating Dance. 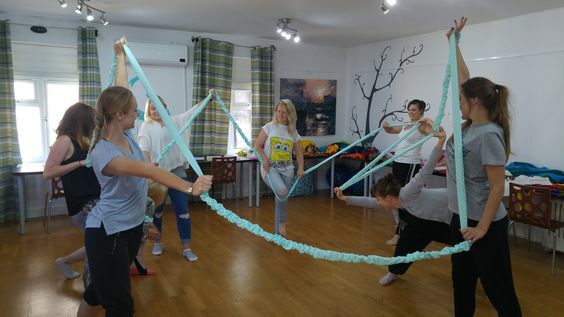 In our training, Dance: A Cross-curricular Approach, one of the first journies Sophie (our first ever TRS Teacher) and I did was Water’s Journey. The improvisation can be undertaken as a whole class moving as particles (as one, slowly and quickly etc. depending on the water’s current state), as an individual moving as the water moves through a story that can begin at any point (basically ice to sea to river to water system to tap etc. but this can and should be expanded upon) and can even include a staff member or guest as the sunshine (we always had Sunshine Sophie!) or within small groups with each group having previously been given the water state they will move as. It is a hugely diverse topic! Story improvisation can become a great game for exploring a theme (such as Dinosaur Excavation), as a way to close a session (line up as a…) or as a cool down (Astronaut Suits). It could also be used within the school day if the story is appropriate. Please see my ‘Dancing Day’ blog post for more on that. The first ever story improv I wrote was one I use just for fun as a game in dance clubs, but that is also great for gross motor skills development… I invented Pumpkin Soup whilst sitting on a train because there was a cafe at the station that had a similar name. Whilst the teacher says the story (and hopefully moves a little themselves as well) the children improvise. It’s quite a closed improvisation and due to that can be done with a whole class. I will create a full download for the story and instructions soon (in our new section of the website), but for now suffice to say that there’s a bowl of soup, a sudden mess and some sliding, tip toeing and sticky feet followed by a big clean up operation. Carnival Dance is a wonderful way to inject colour and excitment into a class and works especially well within Active Armchairs. It can also be easily adapted for different themes. This is basically when the whole group moves, everyone is moving individually, but is occasionally inspired by someone else in the room. For carnival dance we would all have colourful feathers or scarves to dance with. When the facilitator sees something they particularly like they can commend the person who created it and incorporate it into their own movements. This also means that those who are shy, new to improvisation or struggle to improvise can still join in because ‘copying’ is welcomed and encouraged. An extension to this is when the facilitator begins to pick some of the movements and sequences them to choreograph a motif (small section of dance). Although this is called carnival dance, the theme doesn’t have to be carnival. At Christmas I’ve used tinsle, jingle bells or silly hat voguing for a similar affect. 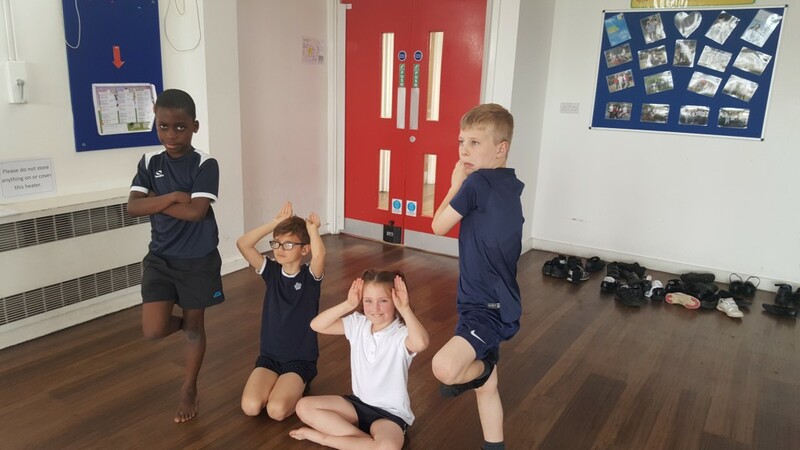 Strike a Pose is a way to introduce a moment of improvisation into lots of different aspects of the dance class or school day in general. 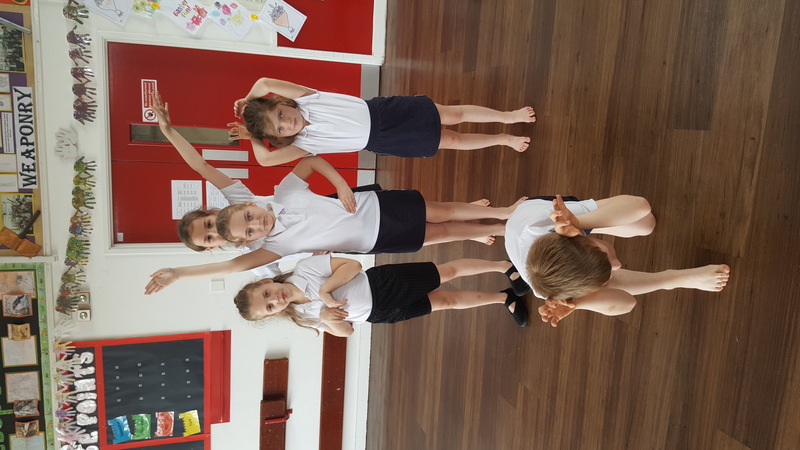 They could strike a pose at the end of a dance or exercise (you could give warning or spring it upon them depending on the group) or and the start before the music begins (this is a great way to get a group of young children to stay still!). 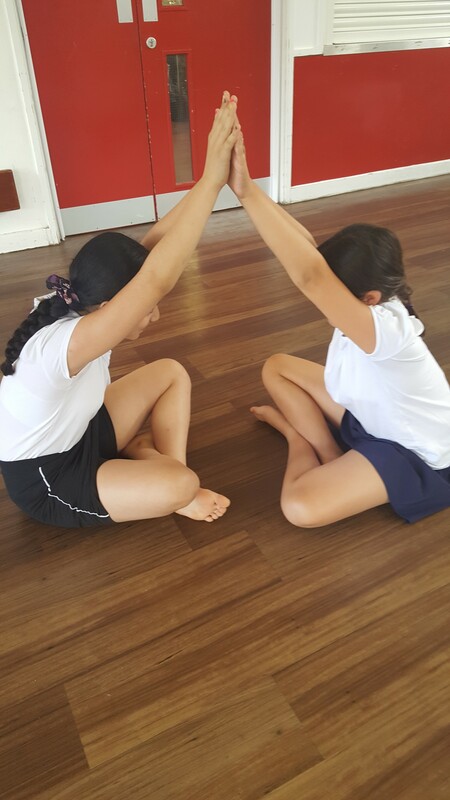 It is an important part of travel / stop games (where the teacher shouts travel and then, after a while, stop and the participants move within a theme). It can also be done when improvising with props. It is very exciting when done with a giant elastic! Partner Improvisation is great for relationship building. 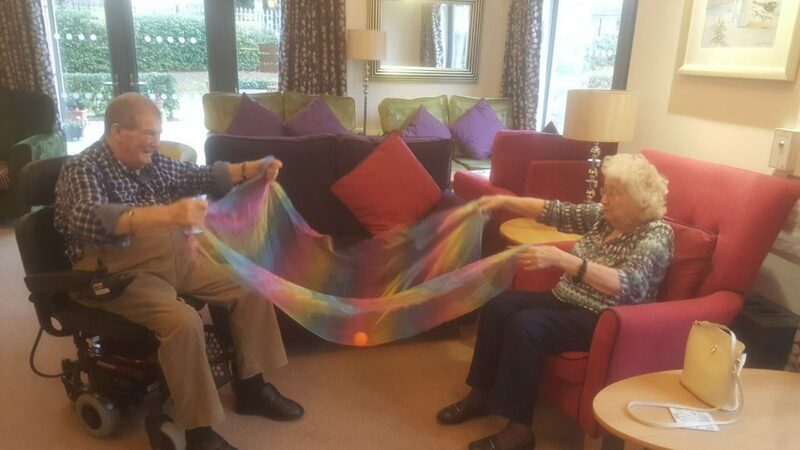 Of course it can be done in schools and is brilliant for PSHE themed dance lessons, but my two favourite examples of partner improv are found in Active Armchairs, the dance together (holding hands as the participant leads the facilitator) and the Floating Material (a person at each end of a long piece of material wafting it in various ways). The photo on the left is of spontaneous improvisation with a participant who asked me to dance during Active Armchairs. We were supposed to be copying Georgie (leading her warm up in the background), but this particular lady became so excited by the class that she just got up and went for it! She led me and I had to follow. This is the best type of improvisation, when some one lets go and just goes for it. Improvisation is clearly a subject that excites me and I could go on and on about things we can do, but my biggest tip is to just give it a try. You’ll never guess what the group will come up with and in the highly unlikely event that they don’t know what to do, you can always move to the next bit more quickly or change tact slightly so the theme changes. The Vestibular Sense refers to the body’s vestibular sensory system that monitors and adjusts it’s sense of balance and orientation to the world. This sense is what keeps the us upright while standing, sitting or walking and it is primarily located in the inner ear. Together proprioception and the vestibular sense allow us to move purpose, grace and without knocking into things (sometimes! ), but as with all our senses and most bodily functions, we have to learn how to use them and they can be developed and improved slightly throughout life. Babies and toddlers, have to develop these skills from scratch and they are still developing through primary school. Young people, teenagers through adolescence, often suffer temporary loss or impairment of proprioception and the vestibular sense. In general, for young children developing these areas of body awareness is achieved by doing as many different movements in as many different ways as possible. 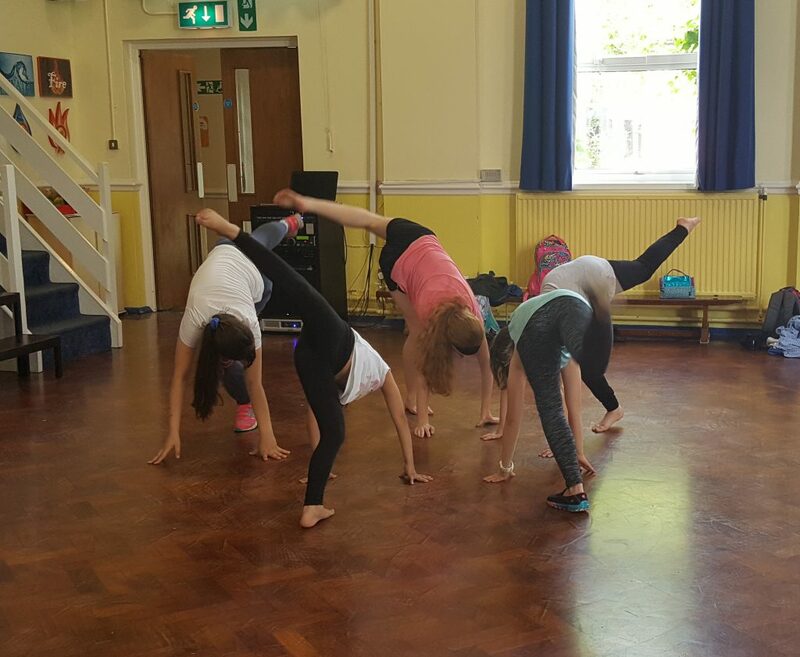 This blog post will explore some specific ways in which we can support these areas of development and changing needs within our dance classes. This blog post does not refer to when there is a medical need for improvement. For these times professional medical advice should be sought. This blog post is designed to support those who work with children and young people. 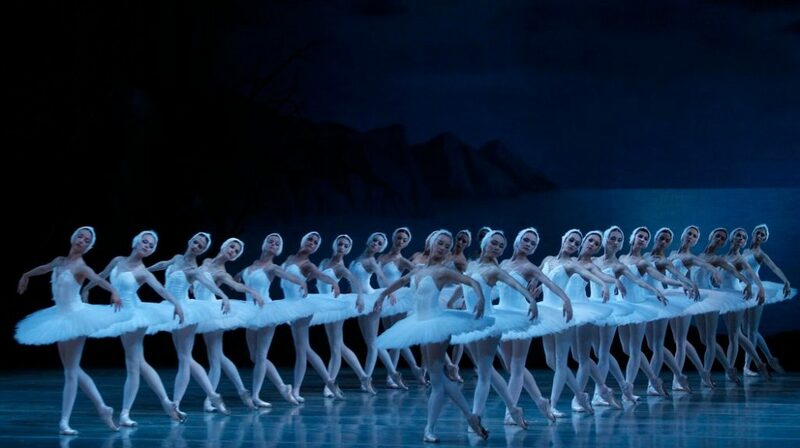 Mariinsky’s Swan Lake The corps de ballet must be keenly aware of where their bodies are in space. Balance is associated with the vestibular system as well as the motor and visual systems more so than with proprioception, but they still work in tandem. Travel stop is a good game to improve balance. The participants move around the room in a way that relates to the class theme or using a travelling movement such as a gallop. When the teacher shouts stop and/or holds up a sign to signify stop, the participants hold a still position in a similar way to musical statues. The next stage of this game is to call out a position for participants to get into. For example, in an opposites theme you might ask them to make a low shape and the next time a high shape. This is where the balance comes in, state that they need to be on one leg or show them the balance position you want them to do. You can use balance to bring everyone back to focus anytime during the school day or at the end of a cool down as a calming item. Just ask the group to stand with their feet slightly apart (in ‘place’) and the slowly rise up onto the balls of their feet. They could hold their arms out to the side or on the hips to help them. Closing eyes emphasises the affect on their balance development as well as their focus. Another fun balance game is sitting on a ball. This works with balls of lots of different sizes, but they can’t be spongey because then they squash flat. Ask the children to pick a ball and take it to their space. The aim is to sit on the ball for the duration of the song. If they find it easy the task can be developed for body parts or types of balance. This is great for a creative dance class where balls are used as a prop or for one of our ball skills classes (all sorts of ball props and creative dance coming together! 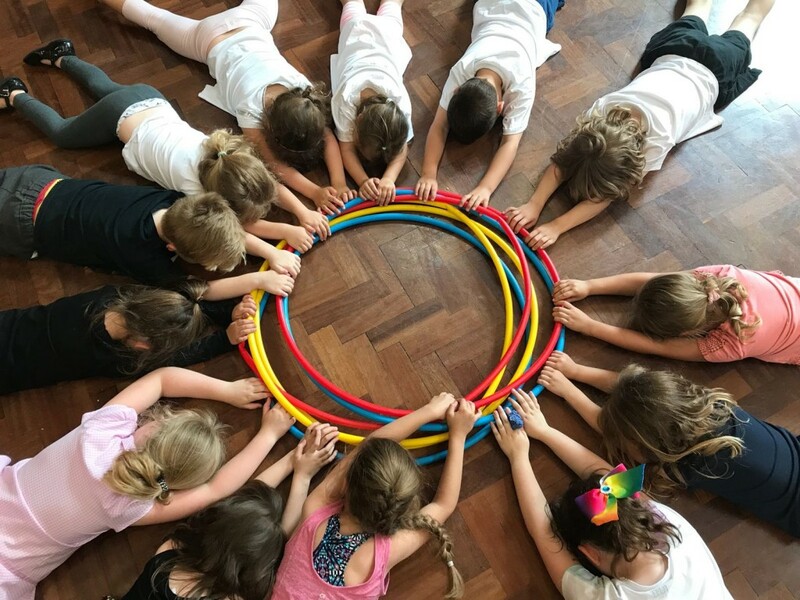 Imagine soft squishy snowballs, shakey cat bells and giant balloon balls all in one very fun class for under 5s!). Have you ever wondered why babies prefer to be in bare feet? My daughter spends a great deal of time removing shoes and socks and she was one of the reasons I began learning more about the vestibular sense and proprioception because refereed to a lot when researching physical development in babies. 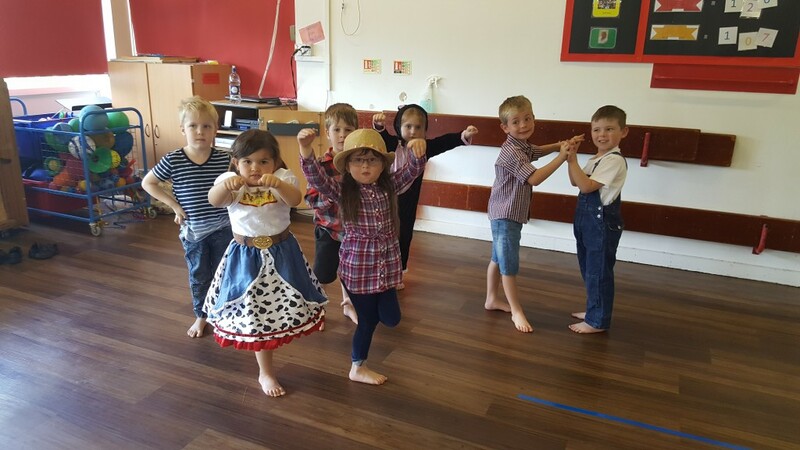 Going barefoot helps to map the body and, although many dance styles require shoes to be worn in class, tap, character and street come to mind, we can help children in their development by encouraging them to move barefoot in creative dance or for sections of a dance class. es (when the floor is covered in slime and you have to get through it but sometimes it’s slippery and then suddenly it’s sticky and then it’s back to slippery again). Going barefoot can also apply to our Active Armchairs sessions with older adults, many of whom spend most of their lives in slippers or shoes. Perhaps we could organise a barefoot class with sensory boxes for the feet (sand or tiny fluffy pom poms), a giant elastic to signify the edge of the sea for dipping toes in and a ball to try and keep under the foot. This involves stimulating the receptors in the skin and is great for developing an inner ‘map’ of the body. Movements like rolling, crawling like a baby or a bear, army crawling, crab walking or being a worm or snake are great. All you need is an empty space like a dance studio or school hall! Props can also help. Games with lycra such as when the group holds the lycra and an individual makes shapes underneath or all sitting around the lycra pushing the feet and hands up to make shapes. As well as moving by themselves, children develop their vestibular sense by being moved by others. This includes everything from being thrown in the air by a fun uncle to giving and / or receiving a great big bear hug! This links in with body pressure (above). Some rhymes and games can be done with a friend or as a group and these make a great brain break during the school day or a quick, related or unrelated section in a dance class. 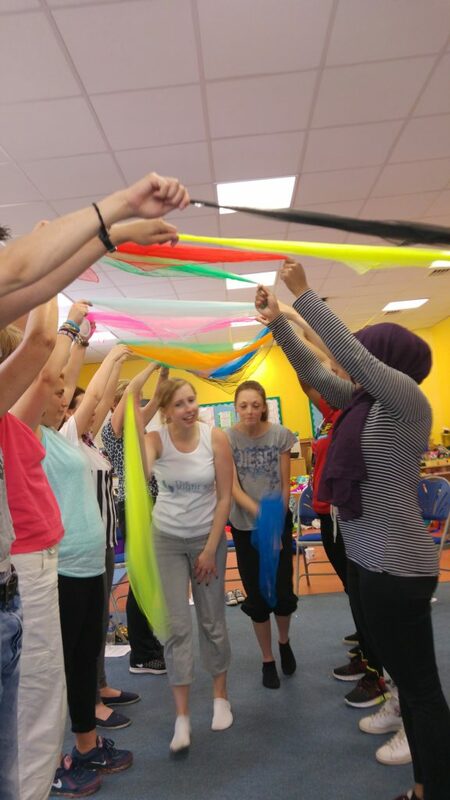 Some to try include Row, Row,Row Your Boat, Ring a Roses, In and Out The Dusky Bluebells and many of the songs that involve horses, but performed with a partner or sitting on an adults lap (perfect for our TRS Tots classes!). Try Mother, Father and Uncle John, This is the Way The Lady Rides or Horsey Horsey. 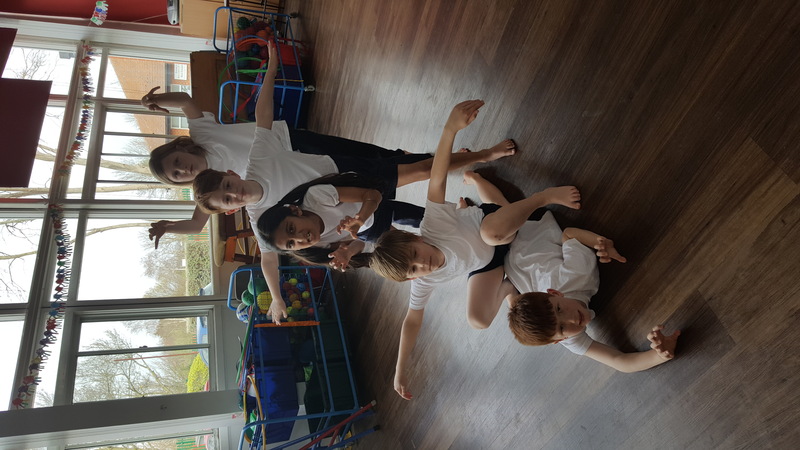 In our school staff training programme, Dance: A Cross-curricular Approach, we teach staff how to give ownership of the movement to their pupils. 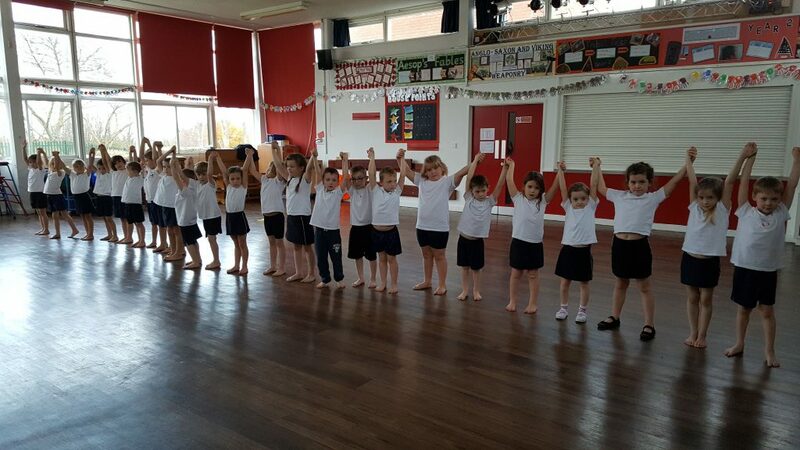 Although this does make it a lot easier and more enjoyable for school staff who are teaching dance as a subject, it is also very beneficial for the pupils. It has been established that children learn through play and at their own pace. When developing body awareness, children have to go through a process in their own time. 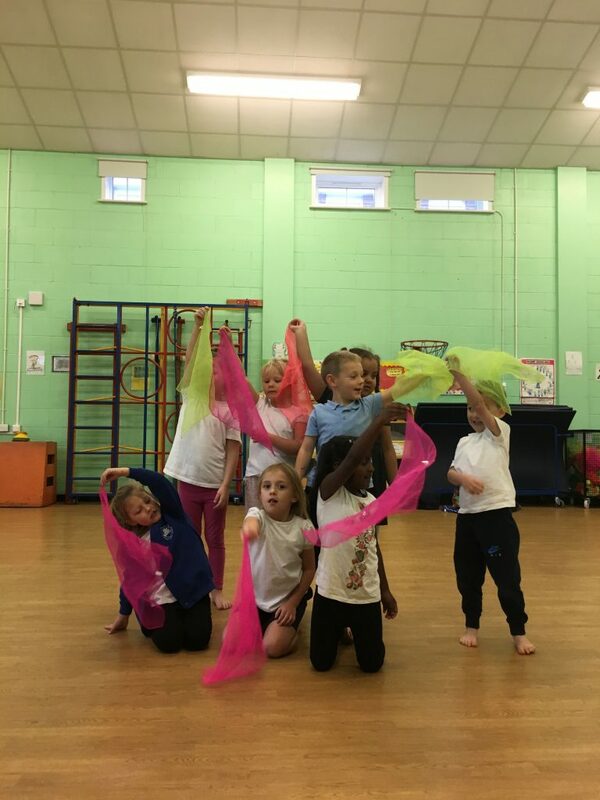 A creative dance class supports this order of development because it both gives young children the opportunity to move in the way their body needs to move on that day and also includes sections of taught movement that provide examples of other things they could do. TRS Teacher, Georgie, went to Miers Court Primary School to work with year 5. They set her a challenge… use their term theme, allotments, and add in their music topic, Waltzing of The Flowers! Here’s Georgie’s blog post about her time there. The first task I set the group on was in pairs. They would take it in turns to lead one another, copying and mirroring exactly what their partner was doing basing their ideas on the stimulus: growth. Year 5 were fantastic at this, they jumped straight in with this task and had such fantastic ideas. I then asked them to create a small duet in their partners based on the movements they had just tried. After the duets were done, we then created small solo’s. Again, using ideas that they had previously choreographed basing the whole idea on growing. Year 5 were a bit nervous to begin with, however they ended up creating some excellent solos! After our duets and solos were finished I then taught the class a waltz. I had some very mixed opinions when doing this as we decided to be very traditional and have boy/girl partners! They picked up the steps so quickly and they really embraced the style. It looked beautiful watching them all dance the waltz and they were so in time it felt like I was at a real ball! When it came to putting all of the movement together for the show, the idea of the structure was based on the picture to the right. We started with solos, which then grew into duets and finally, to finish off, we danced our waltz. The students were amazing. They were really supportive of one another and were so professional. It takes a lot of confidence to perform in front of an audience especially with such a well-known style of dance and they really pulled it off. I was so proud of year 5 and I know the teachers were as well. Sadly, it was my last term at Miers Court Primary school and I just wanted to say a huge thank you to them for having me. It’s been such a pleasure and I would love to go back at any time! 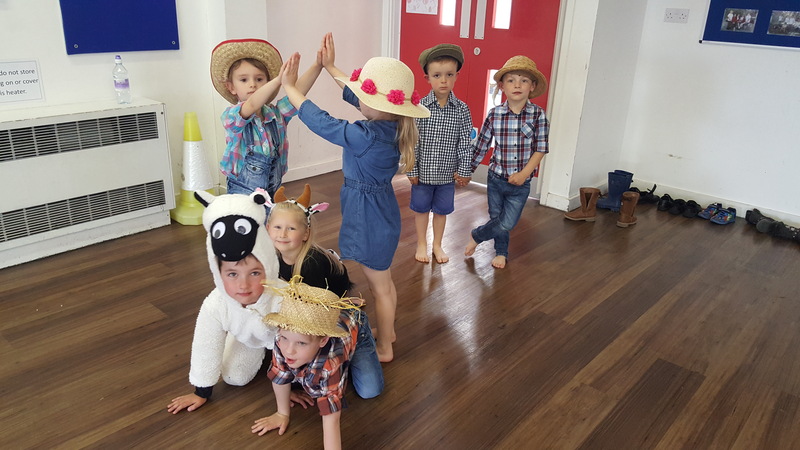 This term at Miers Court Primary School I was working with reception class and their topic was “Life on a Farm”. What a great topic! 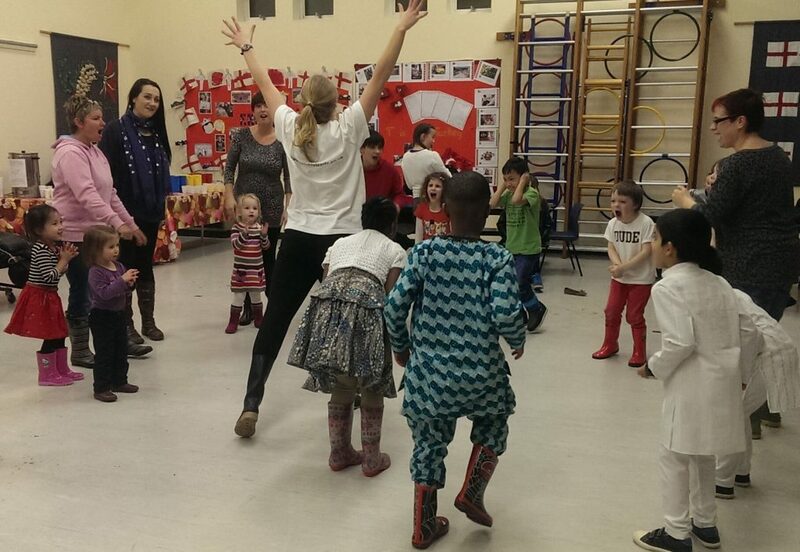 The teachers had already asked me to do some sort of line dancing with the classes, which I was thrilled about! But first off, we needed to do a warm up. We started off by walking around the room in various directions. In each of the corners there were 4 different animals; a cow, a sheep, a chicken and a horse! When I said an animal, the class had to go to that corner and do the action for that animal. 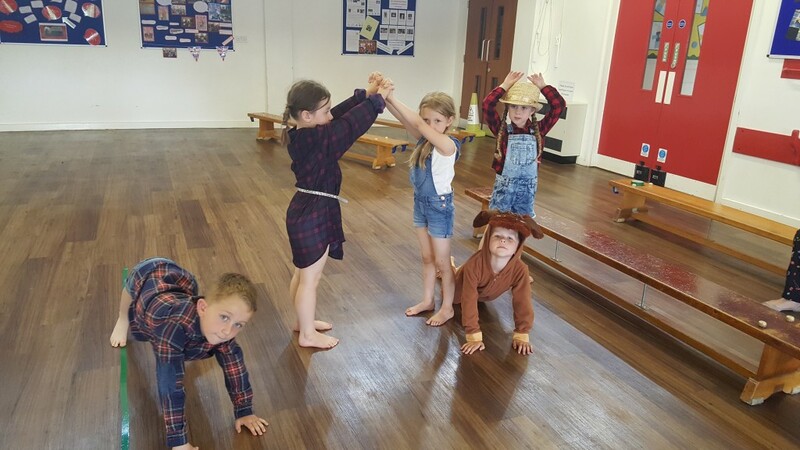 We had galloping horses, skipping lambs, pecking chickens and some very slow movements for the cow! The children were great at really getting the movements of each animal, I almost forgot they were children! The chickens were definitely convincing! Next onto the line dancing. I taught both groups 2 line dances, one was to 5, 6, 7, 8 by Steps. The children picked this up so quickly! And the upbeat music really helped them to get into the style of the movements. I then taught the “Fuzzy Duck Slide” as I thought this was very fitting to their farm theme. We performed this to a classic country song, “Achy Breaky Heart” by Billy Ray Cyrus, and I must admit I was slightly stunned when some of the children new the song! They really enjoyed this song. So much so, they started to freestyle and play guitars etc. and it looked so good I kept it in for the show performance! Lastly, in their groups they came up with a freeze frame based on a picture of a farm that I showed them. They looked really good! From there I gave each group a different animal (from the ones I used in the warm up) and asked them to create 4 movements for that animal. 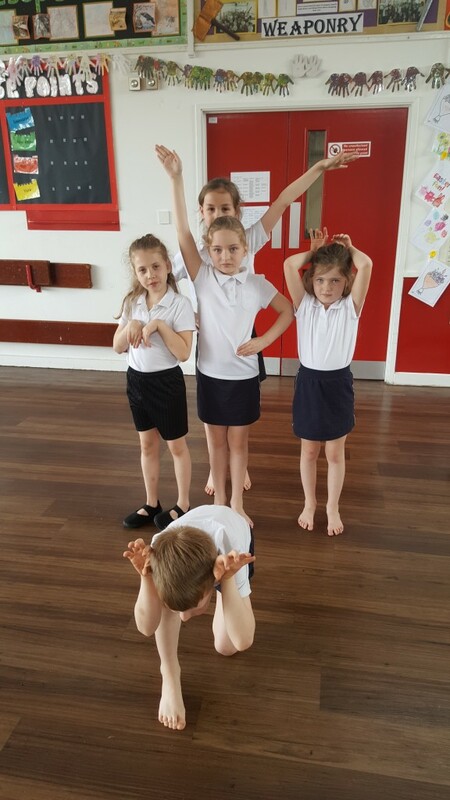 These classes had such creative minds and their movements were excellent. We put this altogether for our show. Then came show day and the children had all dressed up. We had lots of farmers and lots of different animals, an elephant even appeared on our farm! They looked just perfect for the show. I am so proud of reception class, their performance was fantastic, they audience really enjoyed it and gave them a huge cheer. All the children left with huge smiles on their faces, and so they should after all that hard work! I thoroughly enjoyed my time with Reception class at Miers Court Primary. They were an absolute pleasure! Written by Georgie Tedora, Educating Dance Teacher and Level Two TRS Teacher. This term at Miers Court Primary School I was working with year 4. The theme this term was ‘Road trip USA’ which is such a broad subject I didn’t know where to start! Then the teacher sent me over the term plan and I saw they would be looking at Native Americans, great! We started each session with our road trip around USA for our warm up. 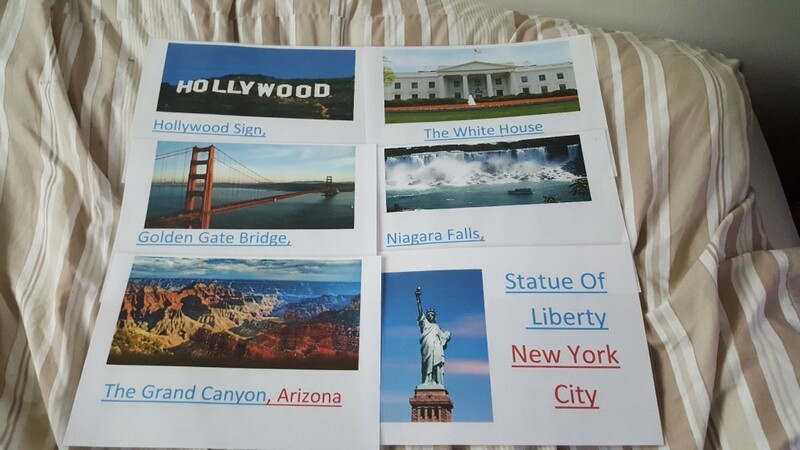 I printed various landmarks from America and scattered them around the room. When I said stop the students had to go to the nearest landmark and do the movement that we all created to the dance. 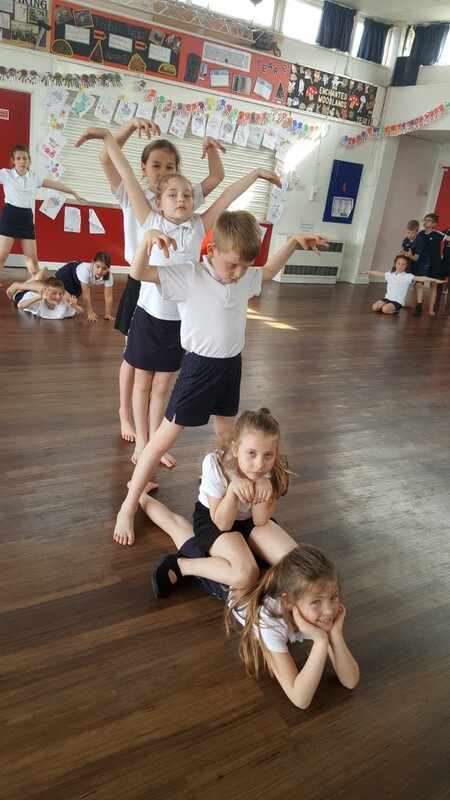 Next, we got into groups and created our own totem poles using different levels and each child chose a different animal to be. These turned out fantastically! Here are just a few. For the next few sessions I told the students about a festival that Native Americans used to celebrate called ‘Powwow.’ Which was a celebration of their customs and traditions. Powwow has dated back years but it is still done to this date. So, we were going to have our own Powwow! I taught them two dances, a male and a female. The male dance was called the traditional dance and was about the warriors stalking their pray. The female dance was called the jingle dance and was about healing and medicine. Year 4 did these so well and really showed the difference in the styles! They then got into their own groups and created their own either traditional or jingle dance. We had a very good mixture and they really grasped the stories behind them well! Finally, a very important part of the Powwow is the drums. They create the rhythms to dance to. So that’s what we did, we created our own rhythms in groups using the parts of our bodies to make different sounds. While one group played their rhythm, another would dance to it. Then it was Showtime! I couldn’t believe how quickly it had come around. The students had made so much material and they put on a fantastic show for the audience. I was very proud of them. I had a fantastic time celebrating in our own Powwow! Here’s a video of some of the things we did this term! 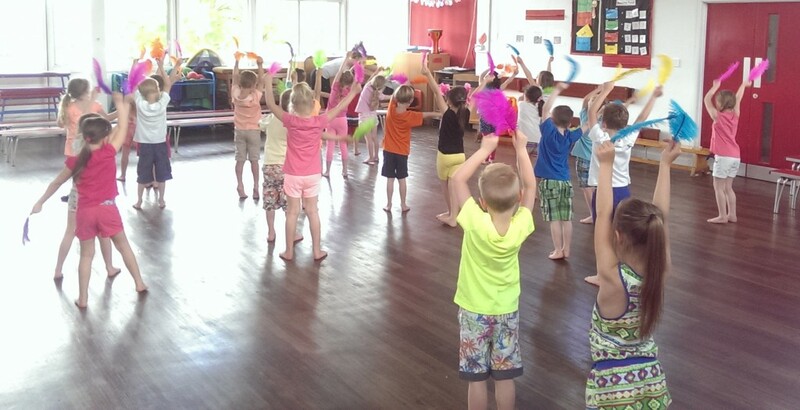 St Mary’s Primary School invited us in to lead dance classes for every year group for the third year running. The school celebrates Book and Art Week with exciting workshops and unusual classes. Steph and Georgie went along to deliver a varied and extensive timetable of dance! Wow! What a week I’ve had with St Mary’s Primary school and their Book and Arts Week! When I saw the subjects I would be teaching I was so excited! 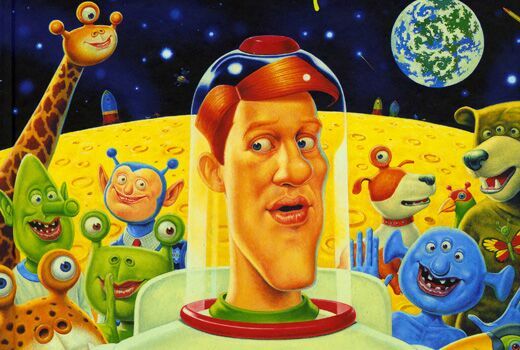 Firstly I taught year 1 – Aliens and Space. What a great subject! We created our own rocket and flew into space. We explored space and had some great slow motion spacewalks. Then we spotted the aliens! 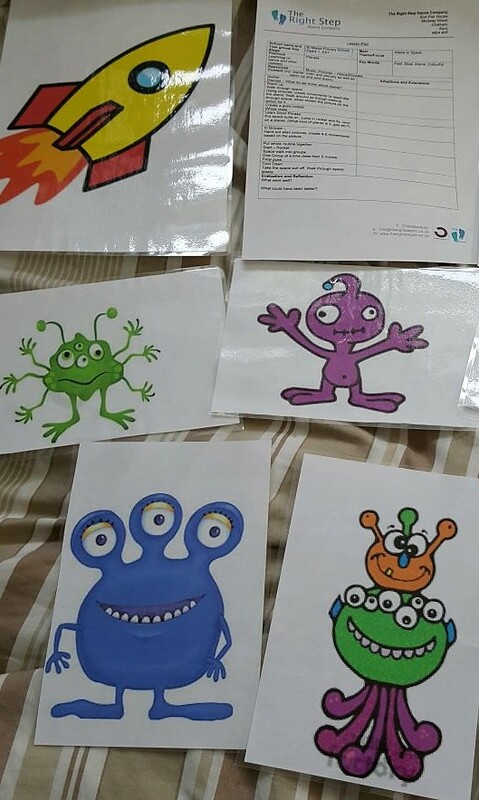 After teaching the short phrase, they went onto group work where I handed them a picture of a different alien each which they had to create a starting position that looked like the alien. The children did this so well! Without even looking at the pictures I could tell who was who. They then created movements like their aliens. When we showed these at the end I was so impressed with what they had done and how much they had learnt and choreographed in that time. What a way to start my week. Next was Year 4 and Gumboot dancing. I could not wait for this! As the classes came in, the teachers told me that they were very good at dancing and loved it. They were right! I started off with an ‘echo’ game where we would walk around the space and when I stomped the class had to echo back the rhythm I had done. Then I chose some of them to do a rhythm too, and some were very hard! After this, I taught them 3 gumboot phrases and then they had to create their own. We had such variety with these, they used different levels, cannon and formations! They had all practiced them to perfection which sounded and looked great! The last part, I handed each group a set of gumboot steps to follow. But they weren’t allowed to show other groups. At the end they performed these too. I was quite cheeky and played a little trick on them. All the cards said the same thing! It was really good seeing how each group interpreted the steps! Then I had Reception class – Seasons and Weather. We started off with the 4 corners game and in each corner was a season, each having their own different action to help the children remember what season was what. 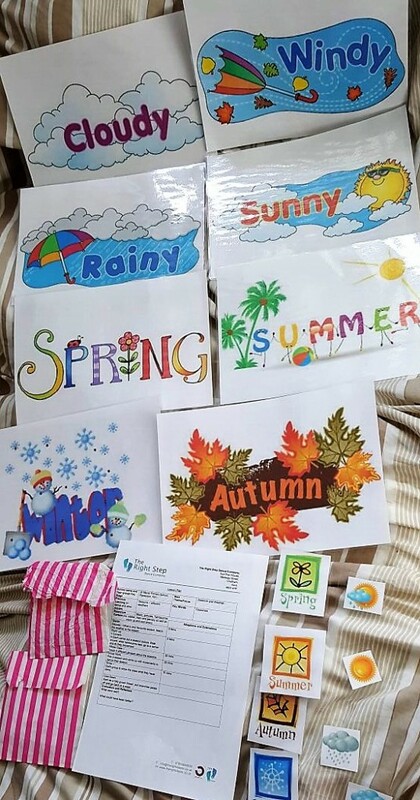 I then taught them a phrase, using the different seasons and the different weather in each season e.g. snow in winter, sun/hot in summer. After they got into groups and decided on a season then created some movements for it. These were really good, we had sitting by the fire in winter and swimming in the summer! Lastly in groups I handed out some cards and we played pairs – what weather goes with what season. Most of them did this perfectly! I was really impressed! Year 6 Street Dance was next. They learnt so much! I started off with body popping, which is quite hard in itself and they really grasped it. Then I taught them tutting, some top rock and finally a bit of break dance / floor work. They were very happy when I played the music (Ed Sheeran – Shape of You) I heard a lot of whispered ‘yes’s’ when the song came on! And we put all of these styles of street together to make a routine. They looked great! Giving me some serious attitude and really understanding the different stylistic qualities of each part. 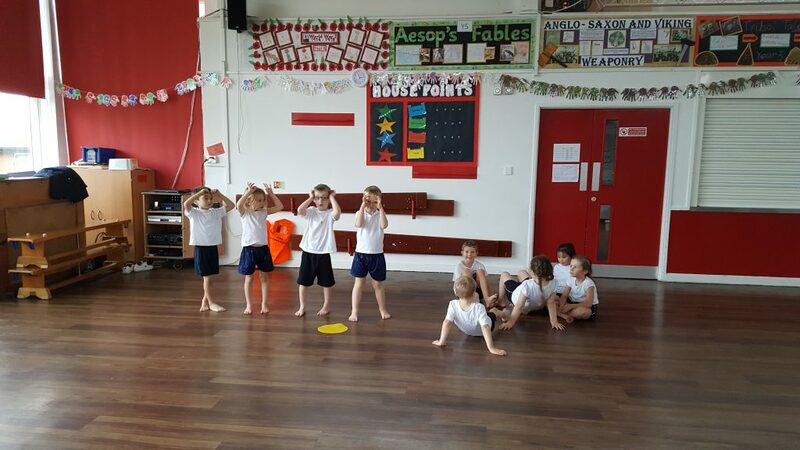 They then added on their own routine in groups, and my they were a talented bunch! Each group was so good that I really wanted them to share with one another, so they ended up teaching each other their routines! Such a fantastic group to work with. Lastly I taught Year 5 – Astronauts and Planets. As the year 1 went so well I decided to use some of these ideas in this one. We started of with a bit of friendly competition and they chose Girls vs Boys. They all wrote down each planet including the Sun on paper plates. I then took each set and really shuffled them up. They then had to put them in certain orders, and the team to get it write and put it in the correct order one the point! The first order was closest to furthest away from the sun, the boys did this in around 15 seconds! The next order was in order of size. The girls one this time which created a tie break situation. Lastly they had to group them into terrestrial planets and gas planets. Anddddddddd *drum roll please* the girls won! It was very close though. After I taught them a short phrase about exploring space, and again we started off in our own rocket position which they created and it looked so good! They then got into groups, chose a planet and had to create a short dance about that planet. Each group came up with such good ideas for their planet and they really went into detail. Year 5 knew so much about space they even taught me a thing or two! I really enjoyed my time at St Mary’s Primary School, it was so lovely to see how all the children really wanted to get involved and I had so many thank you’s which was lovely to receive. I really hope I can go there again! Steph taught Country Dancing and Space whilst at St Mary’s. Here’s some feedback about the classes. In 2016 we launched a Christmas Facebook Competition for schools to have the chance to win half a day of Educating Dance classes. 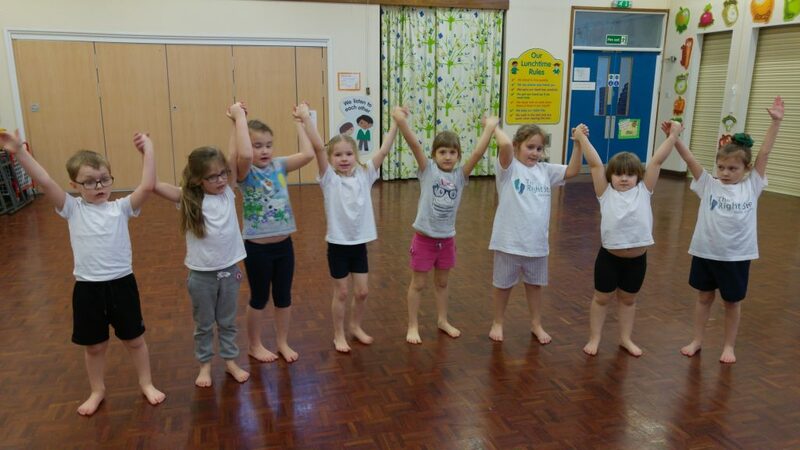 Halling Primary School won and chose to hold their free sessions during Book Week! Georgie went along to deliver the classes. 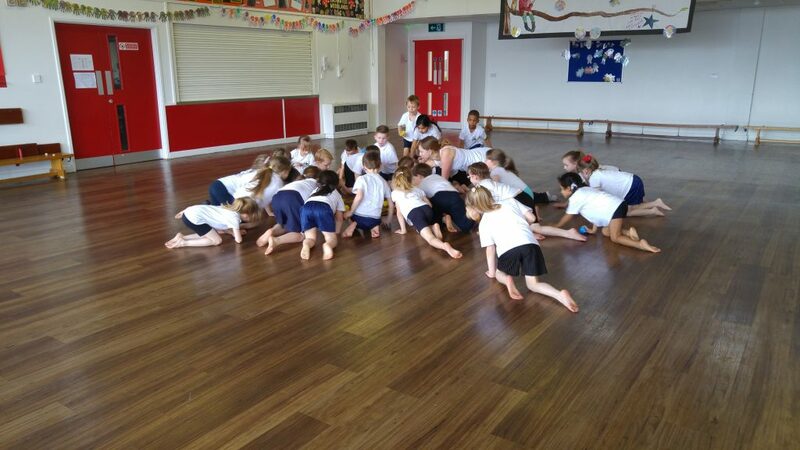 Today I went to teach two dance classes for year 3 and 4 at Halling Primary School. 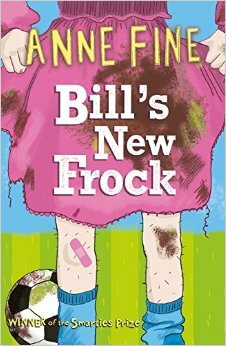 As it was Book Week, I decided to focus on a book the year 3 class had been reading; Bill’s New Frock by Anne Fine (1980’s). It’s a story about a boy who is your typical boy – loves football and doesn’t like girls, but one day he wakes up and he is a girl! He has to wear a pink frock and he learns throughout the day what girls have to go through. I know, a bit bizarre! The children knew so much about it they helped me understand the story better! I taught a short phrase which explained the story, so we started off asleep and woke up as normal Bill. We then went to school, played football and headed home. When we went back to sleep, and this time when we woke up we saw the dress, and we were horrified! The children had such great facial expression for this part. I then asked them to help me to correct extra movements which included; throwing our dress on the floor, mum telling us off, and sulking in our dress. Next they got into groups, and I handed each group a pink scarf. They had to make up their own movements using the scarf. They could dress up in it, do some of my phrase with it etc. When we showed the dances, they were fantastic! Each group had such different ideas, and we had some fabulous frocks! Even though year 4 hadn’t read the book, they really grasped the idea of it and fully got involved. Some of them even said they were going to go and read the book now! I thoroughly enjoyed myself at Halling Primary school and was so impressed with all their hard work.